My last post finished with my great great grandmother Emma Jane Weston and her sister Mary Ann arriving in Sydney Harbour on board the "Kate" at Christmas time in 1856 under the sponsorship of their uncle Alfred Weston. 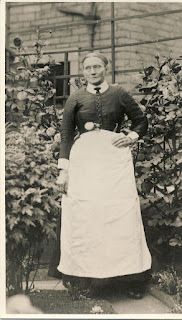 Before I continue with the story of my great great grandmother Emma Jane Weston, I thought would write a little about her sister Mary Ann. 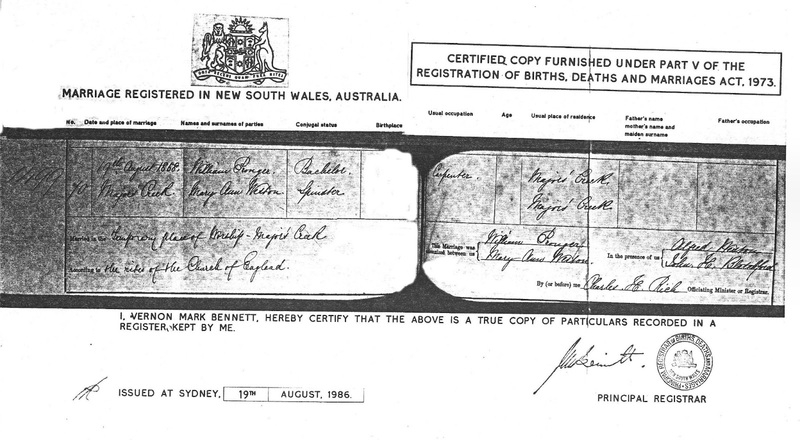 I presume that the two sisters would have been met by their uncle Alfred Weston who had arrived in Sydney in the previous year, or it is possible that they travelled by stage coach to Wollongong where their Uncle was living at the time. 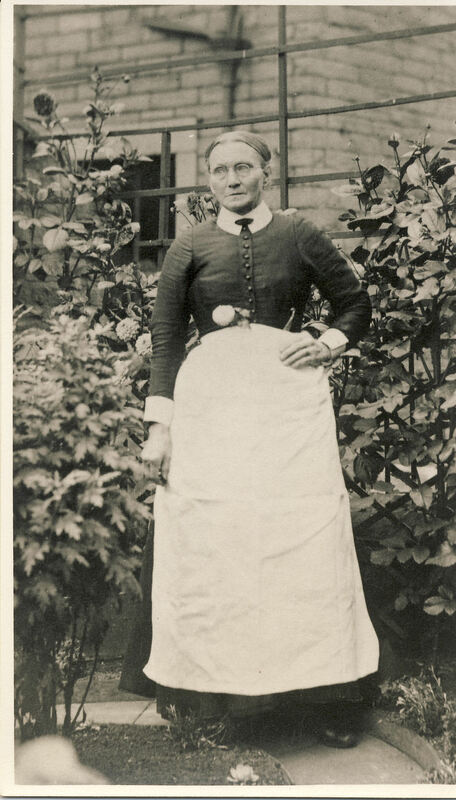 There was a great shortage of labour in the country, especially female servants and as the passenger list for the "Kate" lists Mary Ann and Emma's occupations as housemaids from London, it could be assumed that they sought work as domestic helpers. 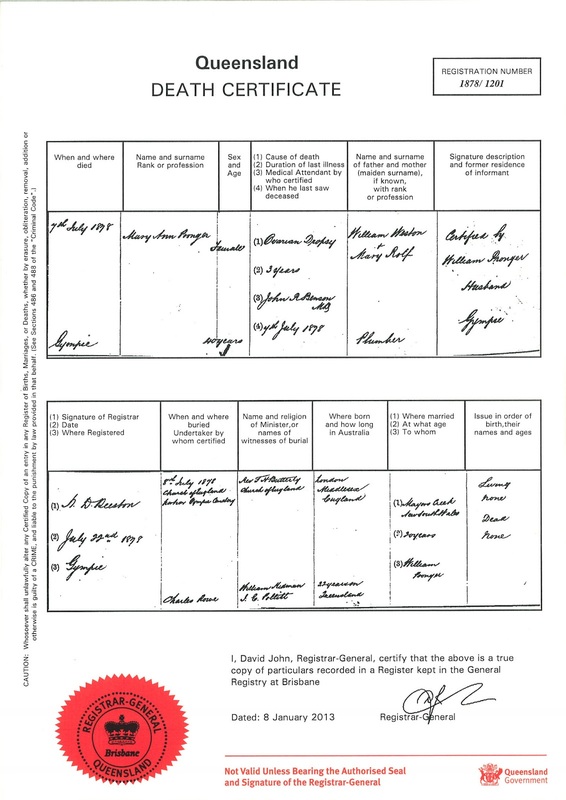 The next record that I can trace for the two sisters is Emma's marriage to Thomas George Lee (1832-1906) on the 22 February 1858 at St Andrews Church in Braidwood, New South Wales. * Thomas's occupation was listed as a miner from the gold mining area of Major's Creek which was in the Braidwood district. Life in the gold fields would have been a very different experience to that of their earlier life in London. Majors Creek was one of the largest working mine fields in the 1850-1860's. This short description from the blog "Major's Creek" gives a wonderful description of what life must have been like on the gold fields for Emma, Mary Ann and their husbands. 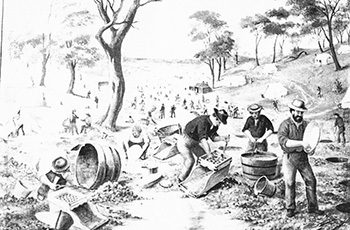 "hundreds of men toiling away in the hot sun; panning, digging, pushing wheelbarrow. You hear the mix of accents: the broad drawl of the Australian born, the plums of English, Scot burrs, Irish lilts, European gutturals, languid American cadences and the staccato of Chinese. The hills are spotted with canvas tents and temporary structures of all shapes and sizes. Clothes, in a rainbow of colours flutter in the breeze drying. Mary Ann and Emma continued living with their homes in the mining community of Majors Creek/Araluen, however, Mary Ann's husband William felt that it was time to move on and to seek his fortune in the newly discovered gold fields in Gympie, Queensland. 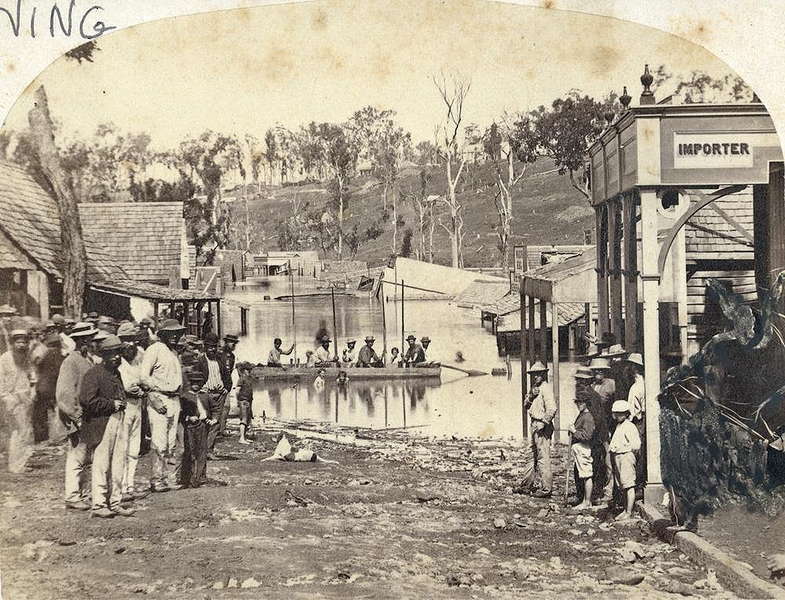 Gold was discovered in Gympie by James Nash in 1867. I am not sure how William and Mary Ann travelled to Gympie, however the trip must have been long and fraught with many difficulties and dangers. I do not have the exact date that William and Mary Ann arrived in Gympie but I do know that in December 1868 William Pronger was appointed by the Queensland Government to the position of the keeper of the Powder Magazine in Gympie**** . He held this position until 1871 when he resigned to pursue other interests. *****. In 1873 an article in The Queenslander advises that Pronger in partnership with Mr Rickett were operating a sugar refining mill and were turning out some good sugar. It seems that William Pronger was quite a pioneer and always looking for further opportunities. 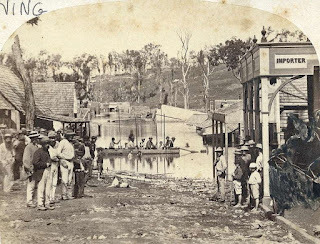 Life would have been quite tough for Mary in this new gold mining town, in 1870 Gympie experiences severe flooding with many homes submerged. William and Mary did not have any children and from details on Mary's death certificate, Mary was in poor heath for some years. On the 7th July 1878, Mary passed away and the cause of death is listed as "ovarian dropsy" (in other words, from "ovarian cancer") which she had suffered from for over three years. This could explain why she was not able to have any children. On the 8th July 1878 William Pronger buried his young wife in the Church of England portion of the Gympie cemetery. 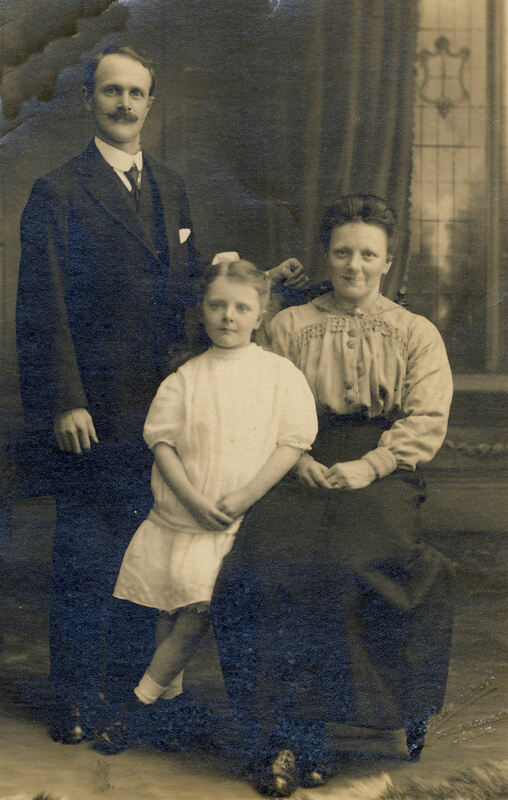 William stayed in the Gympie district, becoming a successful business man. He remarried in 1880 to Charlotte Elizabeth Drew they had a family of two daughters and three sons. Descendants of William and Charlotte still live in the Gympie district. As it is with many of our female ancestors, their story is told by researching their male relations and husbands. Mary's story is a good example of this. It is through her uncle Alfred Weston and her husband William Pronger's life stories, I have been able to piece together a little of her life story, from a house maid in London, to the gold fields in the southern highlands of New South Wales and then the journey of over 14,000 kms to the newly discovered mining outpost of Gympie, Queensland. I still have a lot of questions? I wonder if she was able to see her sister Emma again after she left for Queensland? What kind of conditions did she live in when they first arrived in Gympie? Was her home/tent flooded in the 1870 floods? The list goes on and I guess these questions will probably never be answered.